Belonging to a family of engineers comes with a unique set of challenges, namely finding somewhere to park at your own address. The driveway and on occasion, even the garden itself is full to bursting with cars in various states of disrepair. Forget being able to identify cars without their badges, our family takes it to the next level playing: can you identify the car without its panels? 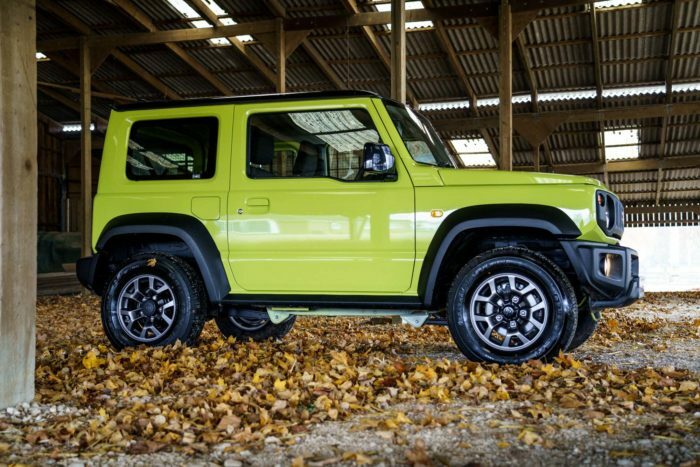 Therefore, no-one was more surprised than I was when I turned the corner on to the homeward straight and saw a complete and fully functioning Suzuki Jimny sitting on the drive. I was able to identify this particular model from the Japanese domestic market because not only did it have all its panels, it even had its badge. For a fleeting moment, I was overjoyed at the prospect of one of the projects finally reaching a state of completion. My days of parallel parking were over! This relation, however, was short-lived. In a matter of seconds, my dream of seeing Japanese car for sale became the reality of knowing that it was a Japanese car requiring not only an insubordinate amount of work but also an insubordinate amount of brain power. I had remembered snippets of a conversation from a recent day at Brands Hatch. It would seem as though my brother had accepted the challenge of turning a Jimny, a 4×4, into a drifter. Not only had I lost another decent parking space for the foreseeable future, I had also lost my place in any mealtime conversations. I can appreciate the engineering work that goes into a car but understanding it is an entirely different matter. I do know, however, that a 4×4 will not drift willingly. You pull up to the start line in a fully modified Nissan Skyline and next to you, appears a Jimny. It hasn’t been modified, it remains a 4×4 of original height – all springs intact. Immediately, you are wary of this vehicle and attempt to remove yourself from its vicinity as fast as humanly possible which of course, you do. It is a Jimny after all. It is not until you are close enough to lap this laughable attempt at drifting that you begin to appreciate the comedic value of it. As the car reaches an angle precariously close to 45 degrees, a hand shoots out from the window and plucks something from the ground. At the end of the race and once the driver of the Jimny finally emerges, he presents an enormous bouquet of wildflowers picked fresh from the centre of the track. Within seconds, the smug looks of the drivers around you vanish as they realise the race is now over but so is their victory as they have to go home with their wives who have not been presented with flowers from their husbands. 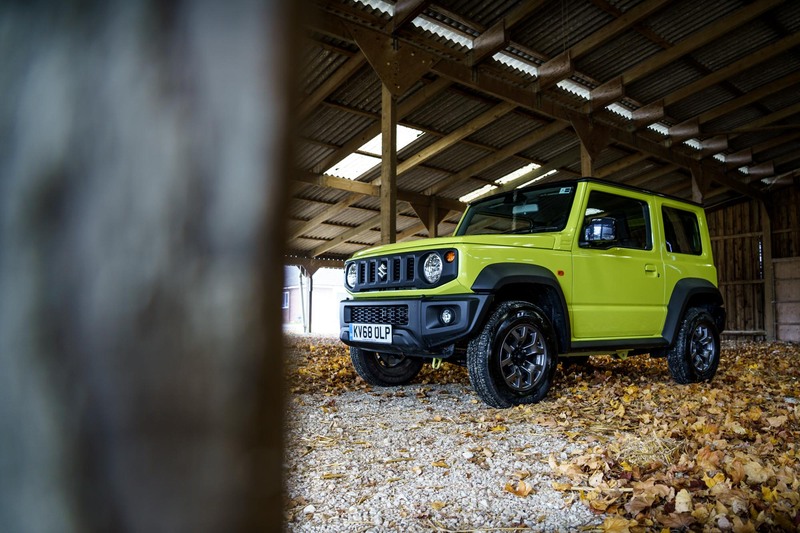 This vision had me interested and I started paying closer attention to the plans for the Jimny occupying my parking space. I had inadvertently become stuck in a battle of wills and I could see the merit to both arguments; one believed removing the front drive shaft would be the best option whereas the other felt that lowering the car would be far more appropriate. On the one hand, a two-wheel drive would even out the playing field but on the other, lowering the vehicle would maintain the car’s ability to drive in all conditions. We eventually settled on the second option. Speed bumps and curbs may render us useless but at least we would be able to get from A to B safely in the snow; isn’t being British wonderful? Decision made, it was time to get to work and reclaim my parking space. We still had hours of planning and debating to navigate through. This business was quickly becoming a minefield of exhaustion, despair and broken relationships. The next hurdle to stumble over-involved discussion on how to go about lowering the car. My decision, brought about I hasten to add by delirium, to simply remove the roof was met with unnecessarily loud and prolonged bouts of hysterical laughter. Apparently, that was not the answer. Instead, we delved head first into a quagmire of different JDM parts such as spring types and their functions. This time, one ran with the argument of ‘do it right or do it again,’ whereas the other was all about saving money. The options were: replace the existing springs, cut the existing springs or heat the existing springs with a welding torch. I quite fancied the idea of the welding torch and put my wishes forward only to be met with more hysterical laughter. I did, however, end the argument and we settled on replacing the springs. It was at this point that I decided to quit whilst I was ahead and left them to it until the day of the race arrived. Race day and my ‘picture this’ scenario was playing out in real life before my very eyes. A heavily modified Nissan Skyline was sat revving its obnoxiously loud engine next to our barely modified, gently purring Jimny. It was difficult to pinpoint the thoughts of the driver of the Skyline; he began with confused which bled into mildly impressed which merged into dogged determination and fell back in to confused just as the flag came down and the 4×4 drifting machine left him for dust. It didn’t last, of course, our silent stooge of the race track couldn’t quite keep up with the speed but it held its own on the bends. A solid 90 degrees was held, the windows remained closed and hairstyles stayed intact as the Jimny had, in fact, kept its roof. So, it can work. The Japanese domestic market knows no limits when it comes to creating cars made for drifting.